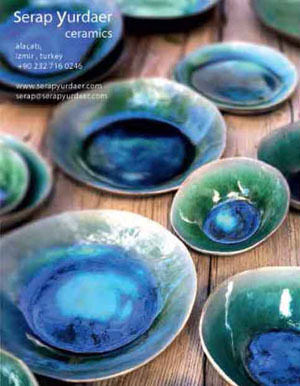 Gencer Emiroğlu, small-craft historian and sailing enthusiast, has another passion: mushrooms. This week he took a small group to the Belgrade Forest to amble along paths so rich with fungus you had to be careful not to step on them. 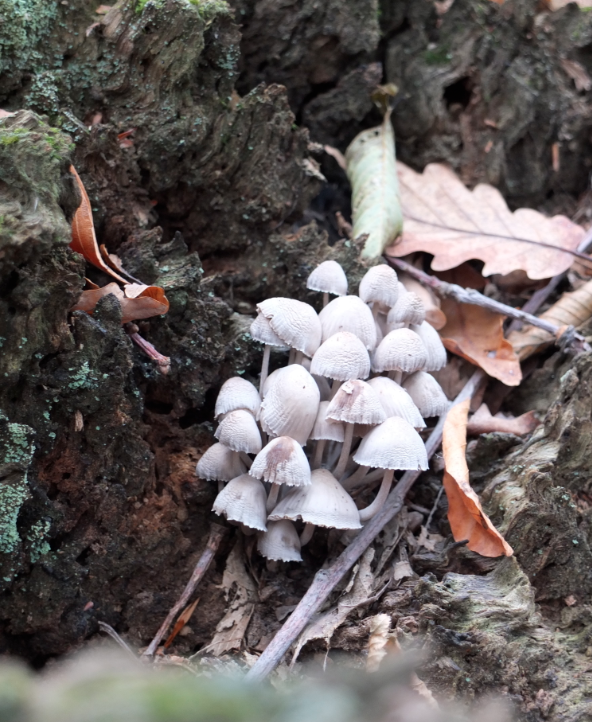 Paths, Gencer explained, are perfect habitats for mushrooms because the forest is degraded. Trees have protective mechanisms for keeping mushrooms under control and there is a constant battle between the two. Paths are ‘where the mushrooms chose to grow their babies and their spores are easily blown by the wind’. Mushrooms, therefore, have a symbiotic relation with man; we make the paths for them and they reveal themselves to us. 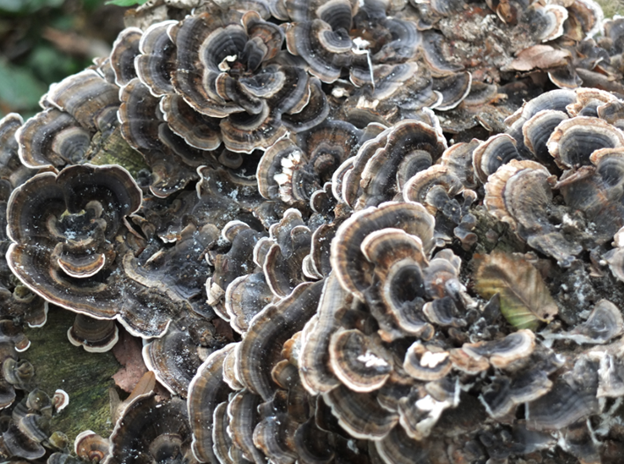 The first mushroom we came across, on the path along the reservoir at Topuzlu Bent, an impressive Ottoman dam built in 1750, was the turkey tail, Trametes versicolor, named after its shape, colour and pattern resembling tail feathers. (The Japanese have a more poetic name for it: kawaritake, or cloud mushroom.) Turkey tails, Gencer explained, are saprobic mushrooms, which means they live on dead and decaying matter and help break down a forest. What we call a mushroom is only the spore-bearing fruit; the true body of the fungus is the white strands of mycelium, which Gencer pointed out in rotting wood and decomposing leaves. Mushrooms can be divided into three groups: saprobic, symbiotic and parasitic. 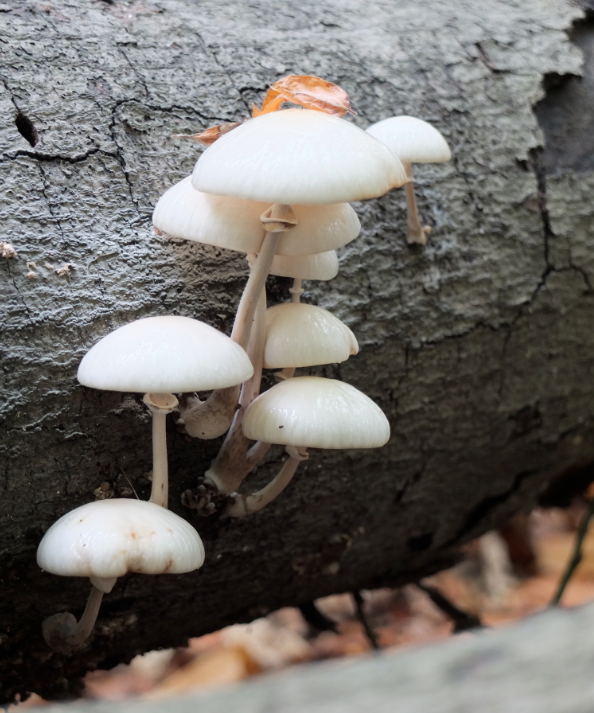 Symbiotic mushrooms help break down nutrients which trees are otherwise unable to absorb. Mushrooms of the genus Amanita are believed to play this role. One species we saw was Amanita citrina, a pretty pale-yellow mushroom also called the false ‘death cap’ due to its resemblance to its killer cousin. An example of a parasite mushroom – ‘a killer for trees, Gencer said – was the honey fungus in the genus Armillaria. The most delicate of all the species we saw was the porcelain mushroom, Oudemansiella mucida, its brilliant white translucent cap covered with a slimy substance that makes it look wet and shiny as if just glazed. We paused our mushroom safari in order to walk across the Valide Bent, built in 1797 by the reformist Sultan Selim III, before the janissaries deposed and imprisoned him. Here we sat on high platforms atop the dam’s two towers. 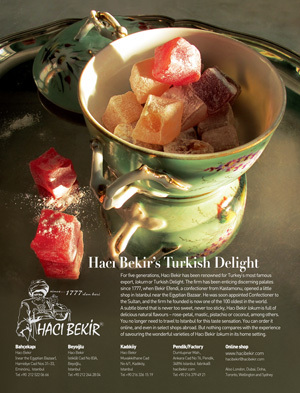 In their day, Ottoman Sultans would ride up to the Belgrade Forest by horse to enjoy the cool air from the Black Sea, indulge in lavish picnics, and then take a boat down the Bosphorus back to Sultanahmet. A short walk from Valide Bent took us to our final dam, taller and more European in its embellishments, built by his successor Sultan Mahmud II. Approaching our lunch place, Yeni Dunya, just before the ruins of the Belgrade Village, we saw our final mushroom. The Belgrade Village was named for the Serbs brought here by Süleyman the Magnificent in 1521 to look after the dams and aqueducts, and is the place where Lady Mary Wortley Montagu lived two centuries later, and where she wrote her famous letter to the poet Alexander Pope (which Gencer read aloud to us). Nearby are the ruins of the large St George’s Anglican Church, which attests to the size of the British community in her day. 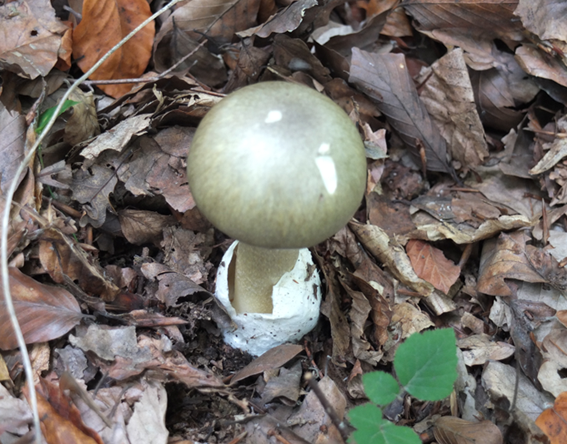 Known in Turkish as köygöçuren (village killer), the death cap, Amanita phalloides, was a green, almost golden colour with a distinctive bulb at its base. ‘A killer of emperor and popes’, Gencer enthused. The most poisonous mushroom in the world, it is especially dangerous because it resembles several edible mushrooms, has a pleasant taste and because its lethal effects are not felt for two or three days – by which time its victim’s liver and kidney have packed in. ‘A time-release poison,’ someone said. Gencer had been hoping to find this species on our walk, and he had succeeded. In the forthcoming Cornucopia, No 50, Gencer Emiroğlu reveals the gilded treasures of the newly reopened Naval Museum in Beşiktaş, in a special Connoisseur feature with photographs by Fritz von der Schulenburg.